My pick was from my first ever Bud Plant order. 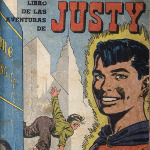 For those of you who may not recognize the name, he's one of the foremost dealers in this industry, though long ago got out of actual comic books. 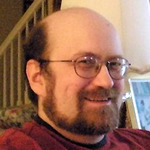 He's refined his focus to mostly Marvel Masterworks, Golden Age reprints, GGA (Good Girl Art), some fantasy, sci-fi, and the oddball pop culture things, but mostly comic and illustration art. 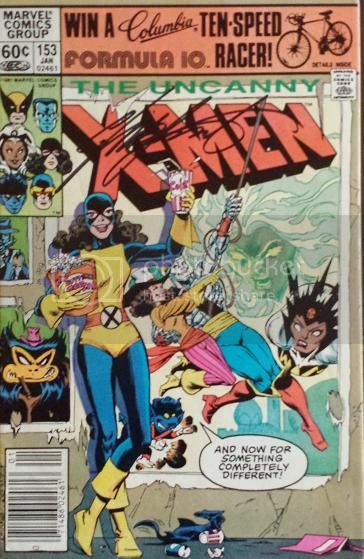 However, he carried more comic stuff back in the early 80's when I placed the first of dozens of orders with him. I bought this based on his recommendation in his huge beautiful black & white glossy catalog, along with many other things including all the Spirit reprints he had, Cerebus, and the issues he had left that went along with this reprint. Oh yeah, and a hardcover black & white reprint of some Judge Dredd with amazing art by Brian Bolland, who'd worked on the Green Lantern Corps mini-series. 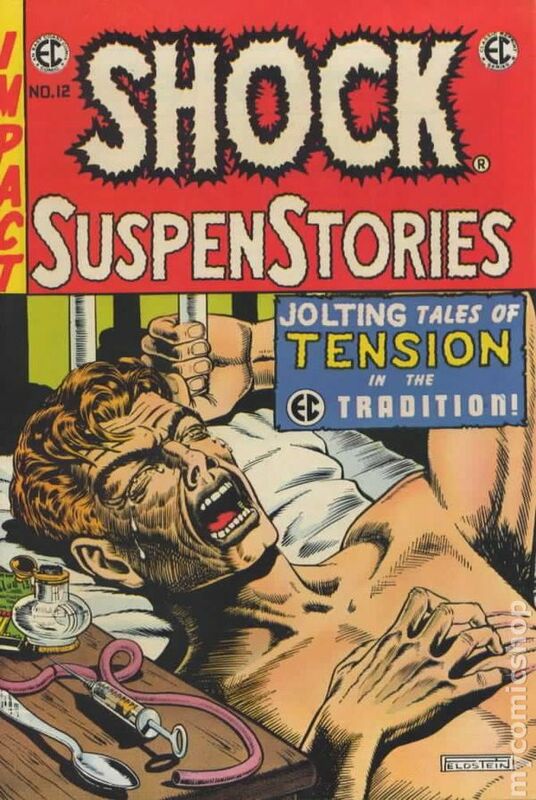 This particular issue was not only shocking, but it had first seen print in the 50's before the Comics Code ! This classic Feldstein cover and delicate but gripping artwork to "The Monkey" by the great Joe Orlando. Other EC greats in this issue were Wally Wood, Reed Crandall and Jack Kamen, any one of which are legends as well. Eventually I filled in the holes to the 12 issues that East Coast reprinted and then later found out about Russ Cochran's beautifully oversized magnificent hardcover collections of each of the EC titles. I took half of the graduation money I got from my high school graduation and bought the Weird Science set and loved it. Eventually I acquired all the sets except the Weird Science Fantasy and Crime SuspenStories. Considering they're over half a century old, if you've never read an EC, you owe it to yourself. They produced some of the finest comics ever. Thanks to Bud Plant's wonderful catalog, I got turned on to other great comics besides the Big Two or strictly superheroes and I'll never forget how this issue truly shocked me. I was truly honored to meet him. I'm still ordering stuff from him. This was my first holy grail of collecting... I know I'm very unlikely to ever get ToS #39, so this is the next best thing for my favorite Superhero. I got it about 12 years ago... my first ever e-bay auction, for about $50. I was thrilled and petrified the entire week I was waiting for it to arrive. It's not the best copy ever (probably a 2 or 3 on the CGC scale), but it's mine and it makes me very happy. I don't think I've ever paid more than $6 than any other single issue I own (certainly not more than $10). Why this book? Well as a 10 year old I was with my Grandmother crossing Delancey street when we happened apon a newstand. They had the old wire racks among all the magazines and Newspaper and there it was. The book that I just had to have. 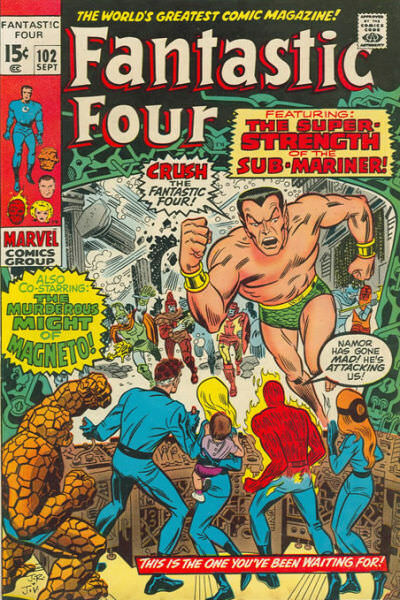 Marvels Greatest Comics #29 reprinting the first Hulk/Thing meeting. Yeah, I know, This is about FF # 102. Well, the aforementioned MGC was 25 cents and My grandma Naty, wanting to steer me away to the cheaper choice , told me to get another instead. I chose FF # 102, thus making it the very first book that I picked out for myself. ( Well almost). It was dynamic in layout and hooked me on the Foursome forever. I think I had read comics before, but now I was out and about making choices about what I would read. RIP Naty, and thanks. No inheritance stories this time around, as this pick is actually the most recent comic I've experienced in the countdown. A few years ago, I decided I wanted to collect all of the single issues of Jack Kirby's Fourth World saga, which began with Jimmy Olsen #133. 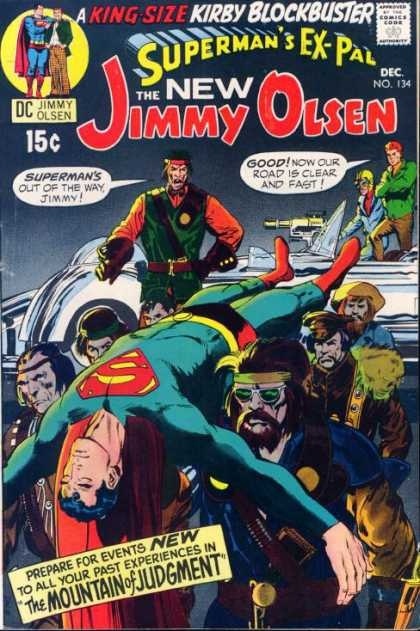 Now, bear with me here, but I wasn't exactly jumping for joy in reading Jimmy Olsen. A comic about a young photojournalist can't be all that exciting, right? Boy was I wrong. Way wrong. While #133 commanded my attention, #134 took it to a whole new level. Mind-blowing. 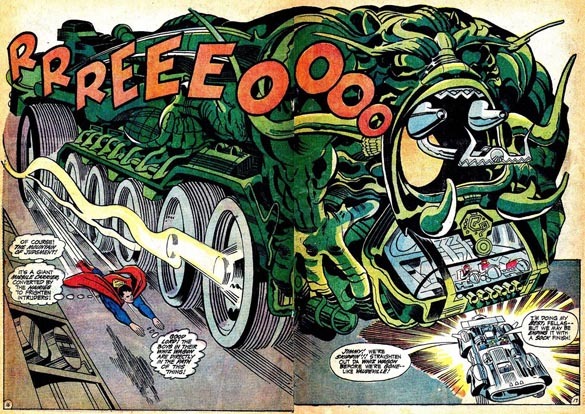 This was, IMO, Jack Kirby at his best. The Newsboy Legion. The Whiz Wagon. The Wild Area. The Outsiders. Habitat. The Zoomway. 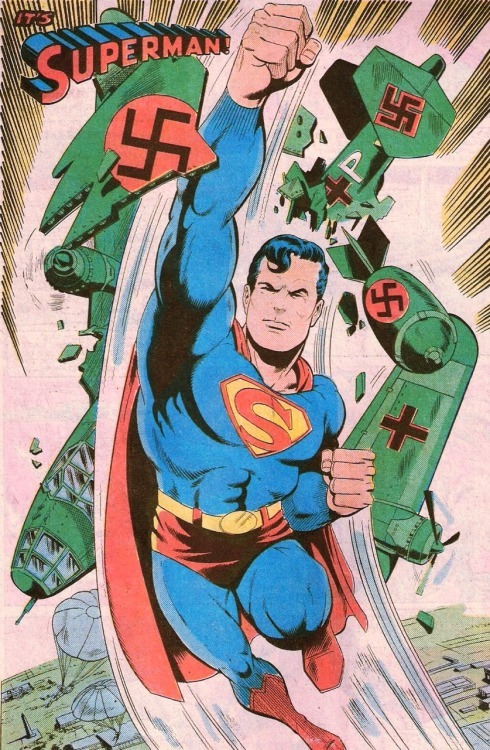 Superman. Kryptonite Gas. Flippa Dippa. The Mountain of Judgment. The Hairies. The Alpha Bomb. Darkseid. I was just astounded at how much stuff was packed into this issue. It was all amazing to me. The way Kirby mixed everything together was a sight to behold. From the lighthearted fun of the Newsboy Legion, to the serious tone of the Outsiders, to the darkness of Darkseid. 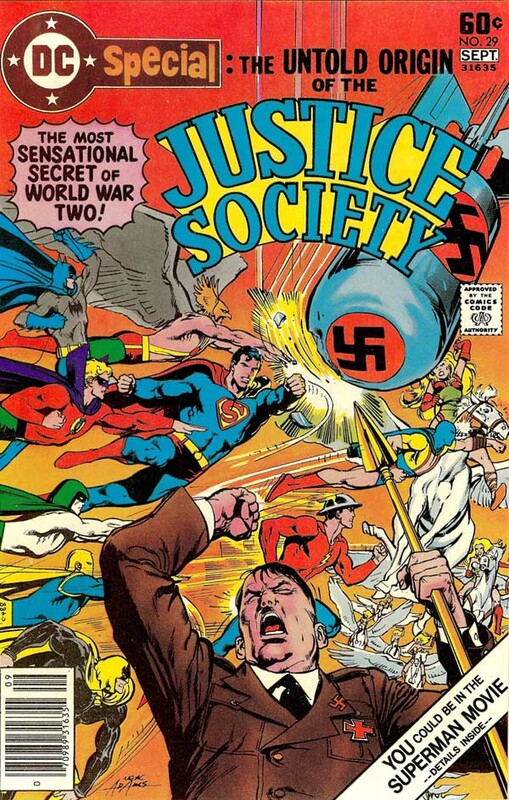 Nothing else in the Fourth World universe ever captivated me as much as this issue did. 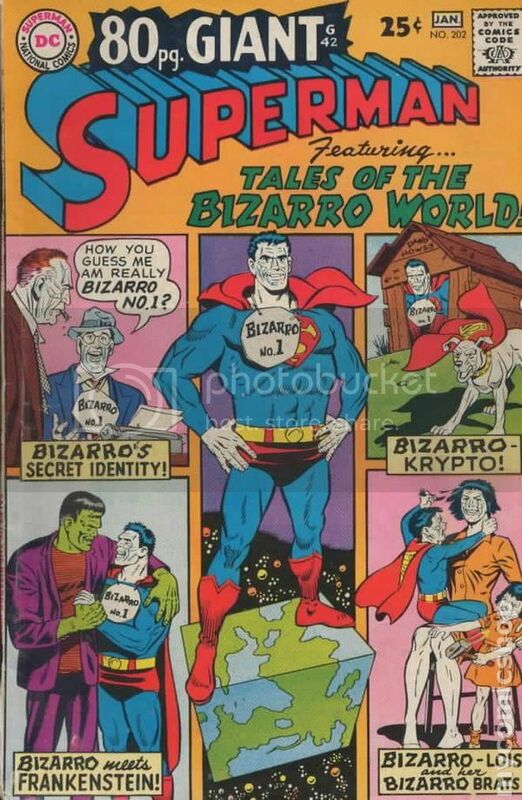 "Tales of the Bizarro World"
My fourth 80-Page Giant, & my favorite. And why? Well, duh -- it introduced me to the Bizarros. That's a wonderful thing for an 8-year-old. Hell, it's a wonderful thing for a 55-year-old. 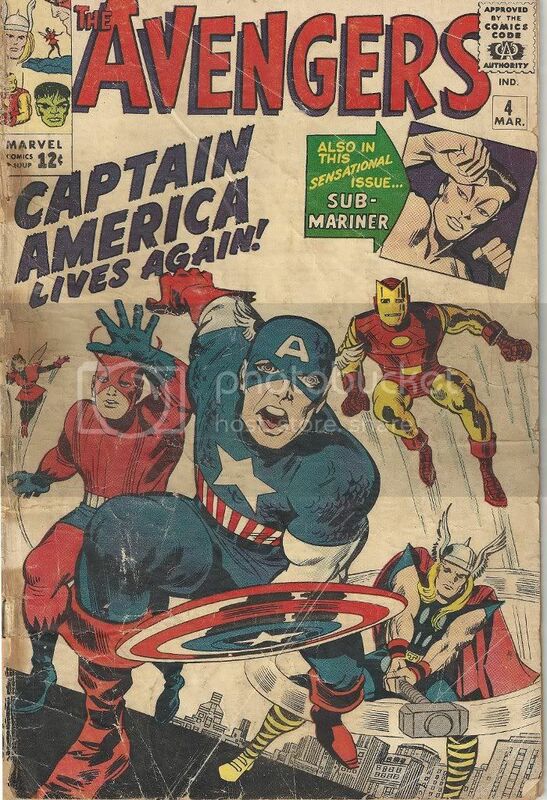 Either this or the Steranko & assorted other early Captain America issues I mentioned in my Day 3 pick were the first comics buys I ever made via eBay back around 2000. Around the same time, the Tales of the Bizarro World collection was one of the first comics TPBs I ever bought. The Bizarros & I go back a long way; it started here. 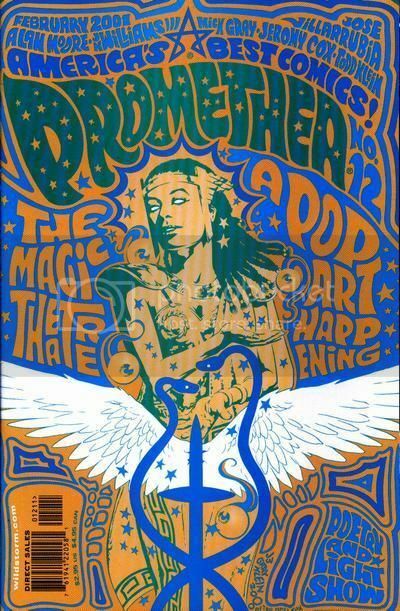 The rap against Promethea is that the narrative often takes a back seat to Alan Moore lecturing the reader about his mystic philosophy. This issue certainly qualifies, as Promethea gets a lesson on the symbolism of the Tarot deck, conflating it with the Jewish Qabbalah to illustrate the history (and future) of mankind. As a counterpoint, running along the bottom of the pages is a mini-biography of Aleister Crowley, the occultist whose writings influenced Moore's beliefs. It's all done as a series of two-page spreads, each flowing into the next, until the whole thing loops back onto itself at the end. And yes, it's didactic as all get-out, but composed so brilliantly, and served up with enough touches of humor, that it's a thrill to read. Moore's love of language is evident throughout, from the rhyming narration to the rearranged Scrabble tiles that sum up each section. And I haven't even mentioned J.H. Williams' pitch-perfect artwork, rich with symbolism. What a trip! 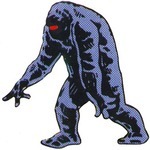 Are you sure it wasn't Yancy Street you were crossing? Yeah, the first comic you pick out yourself is very special, assuming it turns out to be one that sticks with you, that you still like in later years. My whole list is pretty much based on this idea. FF#102 is a strong memory from my childhood, as well. I kept reading the FF for several issues after Kirby left. I was too young to really pay much attention to the creators back then, and those first couple storylines after Kirby's departure still loom large in my mental landscape. 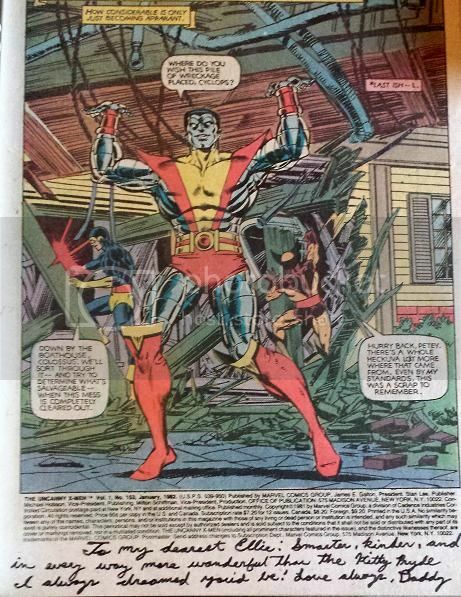 By 1986, I had been reading comics for two years or so, and had started getting into the collecting side. 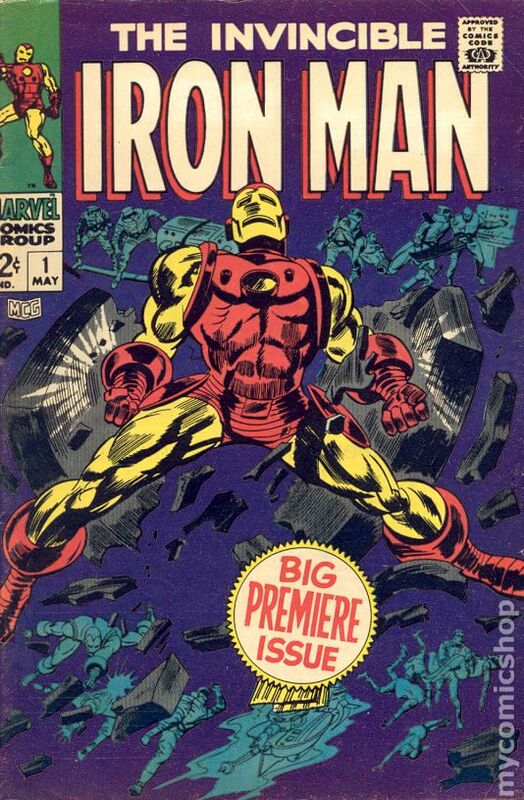 I didn't know much about it yet, but my Dad had taken me to a comic store once where I had gotten a bunch of back issues - pretty much just buying the oldest things I could get my hands on. I was fascinated, as I mentioned earlier, by the history of the titles. The big numbers, what that implied - both the real world history and the in story history. I couldn't get enough. Now, at this time, my favorite titles were Fantastic Four and Avengers. 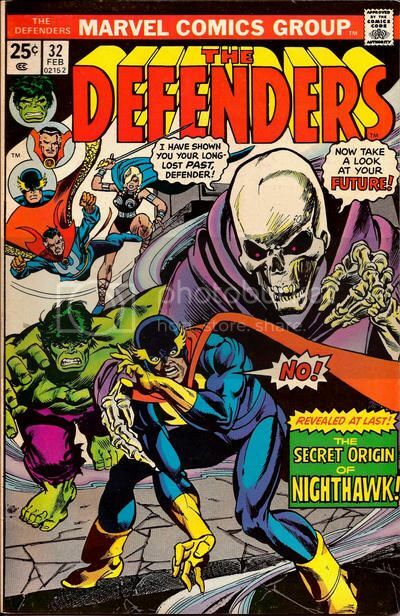 On that first trip to a comic book store, I had bought the oldest issues they had of each - FF #61 and Avengers #36. 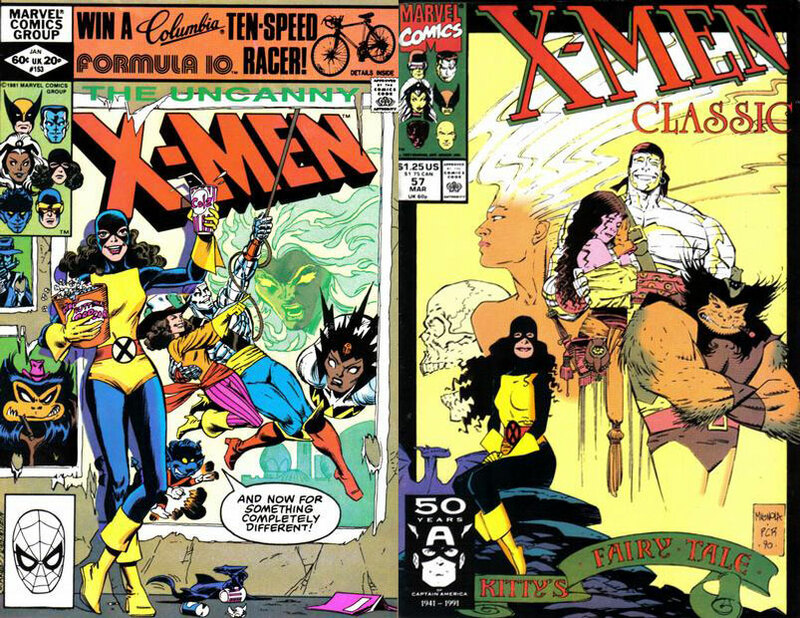 I knew next to nothing about the titles except what I had read in the current stuff, and neither of these issues actually grabbed me in terms of the stories in them, but I wanted more. I just wasn't sure how to go about it. So one day my Dad said to me, instead of just buying random stuff willy nilly, you should focus on one title. Figure out what you like the best, then buy that title only - for back issues, I mean - until you finish it. Then you can start another. This was great advice. But I couldn't quite decide what title to focus on. So I got a price guide somehow - no idea where I got the money for it - and did some research. This opened my eyes to all sorts of things, but primarily to just how expensive some of the stuff I wanted was. But, after doing my research and searching my soul, I decided on a title to pursue. My Dad took me to a different comic book store, the second I had been to. With my new focus in mind, I marched over to the back issue bin to see if they had any old comics - not "old," not stuff that was from a couple years ago, but actually old. They did. They had one legit old comic in the bin. It looked like someone had used as a plate, or maybe set it under their car while they were working on the engine in order to protect the garage floor. I mean, it was messed up. The cover was coming off, it had stains, rips, pieces missing, the whole nine yards. But - and this is key - it was old as hell, man. I don't remember if I had any idea of the significance of this issue or not. As I mentioned, I'm pretty sure I had my first price guide by this point, so it's possible. But I'm not sure; I suspect I might have wanted it just because it was oldest issue of Avengers the store had, by about 15 years. And since I had decided to focus on Avengers, both because it was cool and because it seemed much more financially feasible than FF, I had to have it. Of course, there was still the problem of the fact that the spine was disintegrating. That wasn't going to work for me, because I planned to read it, and often. Luckily, my Dad had the solution: Super glue. Collectors today probably curl up into a fetus at the thought, but I was very happy to super glue that cover right to the spine, because it meant I could read the comic without worrying about the cover falling apart in my hands. And almost 30 years later, I'm happy to say the cover is still affixed as strongly and permanently as ever. I hope I'm not committing a faux pas here but theres too much synchronicity in the air to not say anything. Now if its not cool about me doing this, gimme a yell and I'll haul out the big ole eraser(called a rubber in real English) and gets ridda it.